The Carolina Amateur Hockey Association (CAHA) invites you to participate in our annual Girls' Hockey Festival that will be held at the Greensboro Ice House, on Saturday, March 30 with Special Guest Tara Connolly, Women’s D1 Coach at RPI. This CAHA sponsored event is open to any female hockey player that has interest in attending. All skill levels are welcome and remember to bring a Friend to the Try Hockey For Free Event (Try Hockey for Free Event has no registration fee). Some equipment will be available for use by new players or have them bring a bike helmet and gloves and they will be set to go! Try Hockey for Free registration will be held on-site and no USA Hockey number is required for the THFF event. 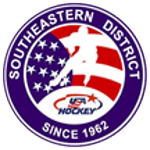 ​A USA Hockey registration confirmation number is required to register for the CAHA Girls’ Festival. Click here to request a duplicate registration confirmation. The fee for the CAHA Girls’ Festival this season is $30 which includes all on/off-ice sessions and a CAHA jersey. We do ask that each participant register online as early as possible to help with our planning. CAHA would like to extend a Thank You to the Greensboro Ice House for working with us to host this great event! Registration is closed. Please contact Paul Fidishun at fidishunp@bellsouth.net with inquiries on openings. The Greensboro Icehouse address is: 6119 Landmark Center Blvd, Greensboro, NC, 27407.